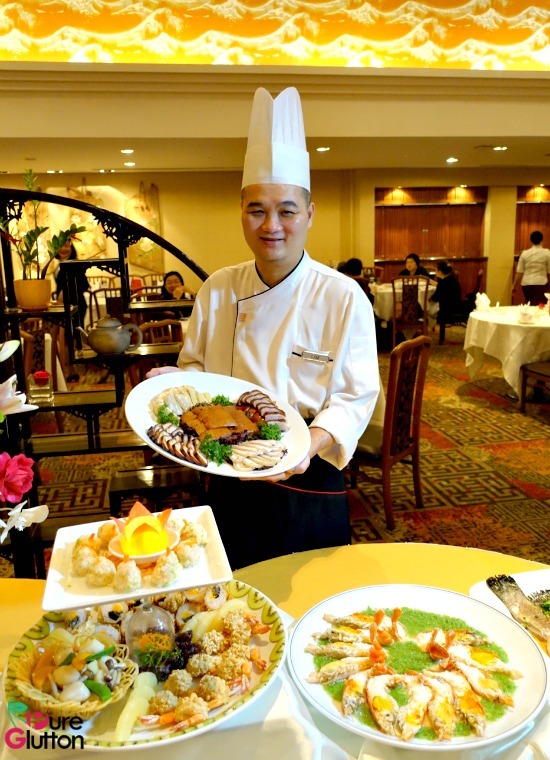 There’s a new chef in Xin Cuisine. 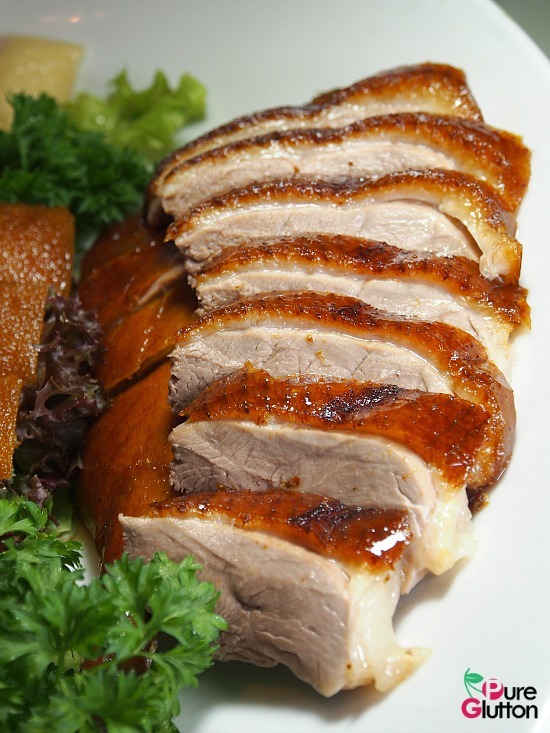 Sous Chef Soo Kok Lam, fondly known as just Chef Lam, has been delighting diners with his classic Cantonese creations and home-style dishes. 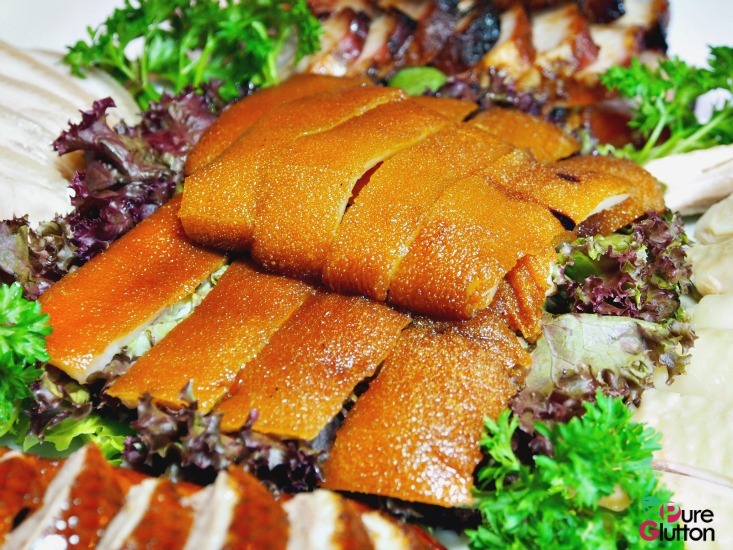 Hailing from Ulu Langat and with more than 33 years of culinary experience, Chef Lam has been working with the team in Xin Cuisine since June this year to come up with new dishes to entice diners. 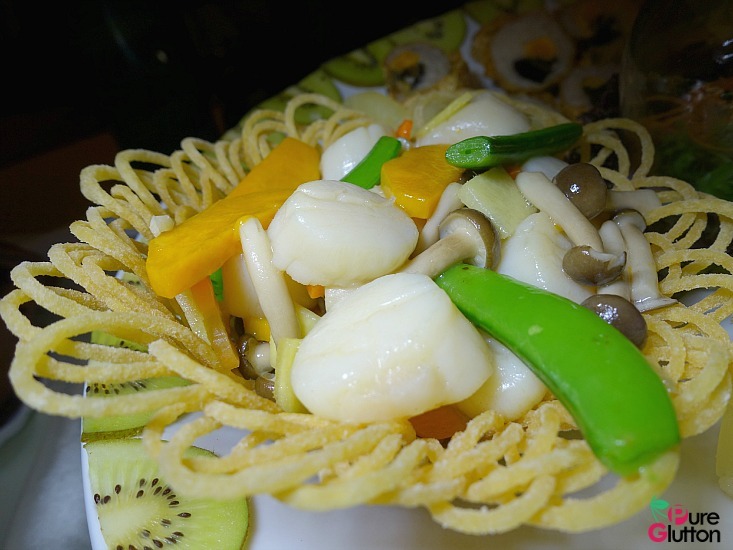 His forte lies in Cantonese-Hakka favourites which are bound to whet the appetite. 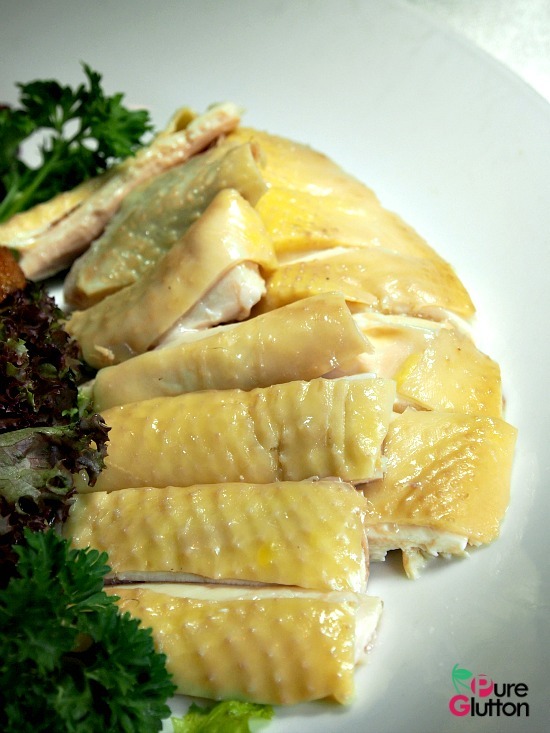 One of his top favourite dishes – the Salt-baked Chicken is now a bestseller in Xin Cuisine. 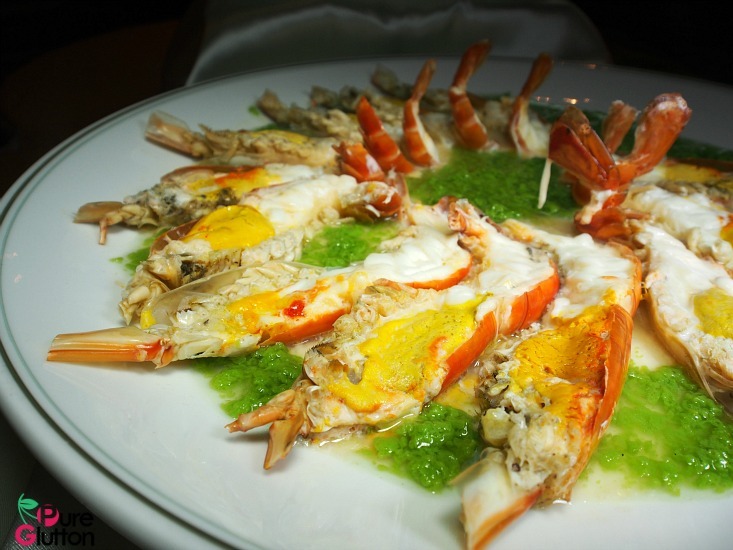 We had a chance to sample some of Chef Lam’s dishes recently. 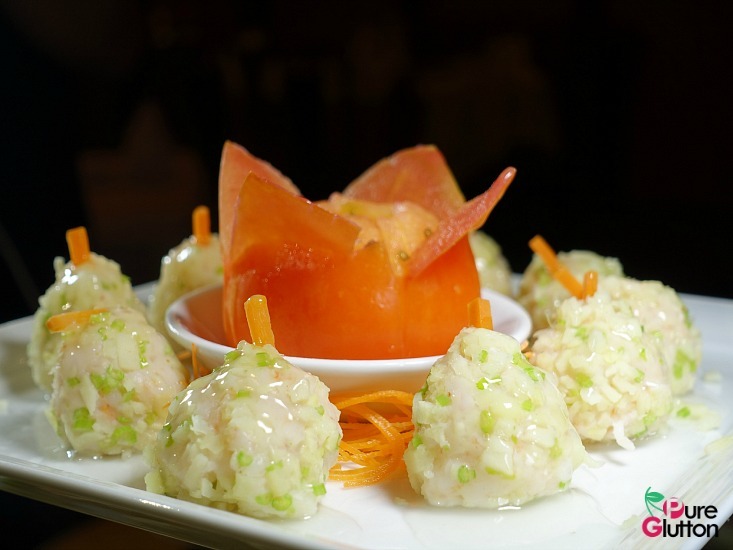 Guests who step into Xin always get blown-away by the restaurant’s oriental pomp and grandeur. 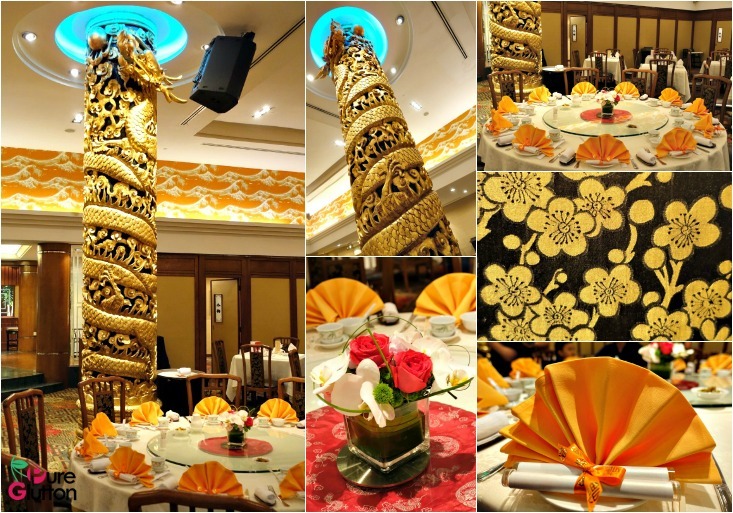 How not to feel so when we get to dine beneath huge golden dragons spiralling up the grand pillars? Tables are always set-up elegantly and service attentive. 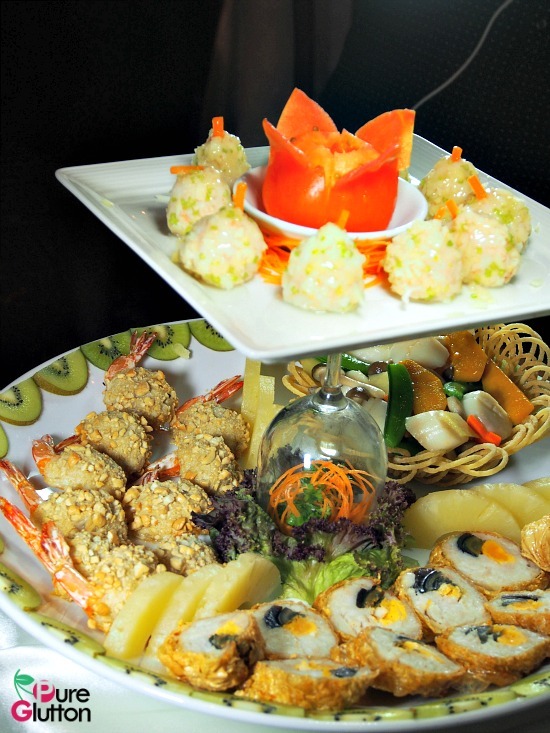 As befitting the grand surroundings, our meals in Xin Cuisine always feel like a banquet, an elaborate stylish banquet. We had 3 excellent and immensely satisfying courses before we even came near to Chef Lam’s new dishes. 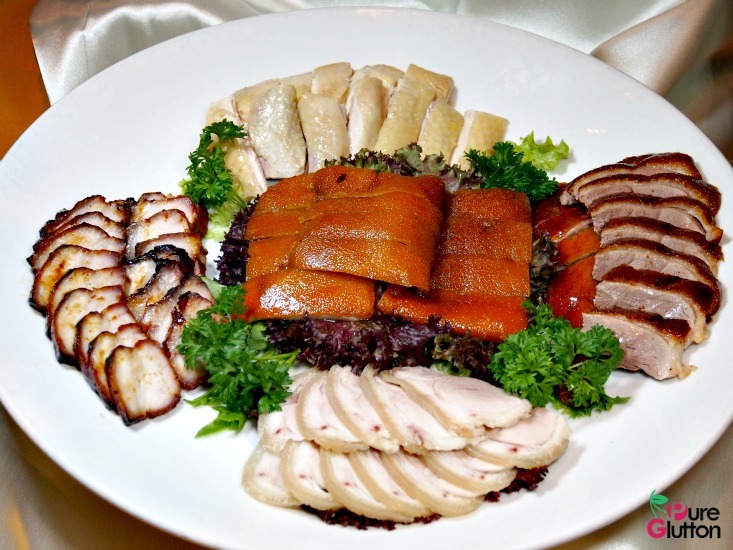 The Four Hot Hors d’oeuvres, the Double-boiled Dried Seafood & Black Chicken Soup and the 5-Variety Roast Meats got the ball rolling splendidly. Can’t get any better than these! 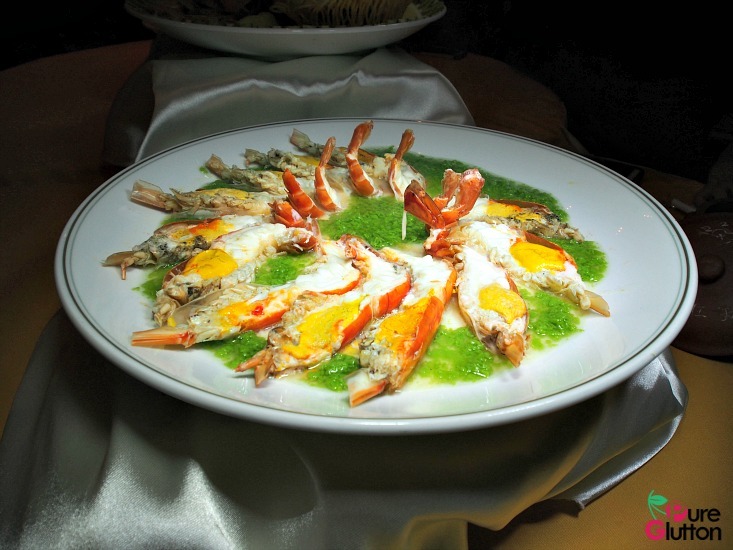 Then came the first of the new items: the visually stunning Steamed Freshwater Prawns in Spinach Puree & Chinese Wine. 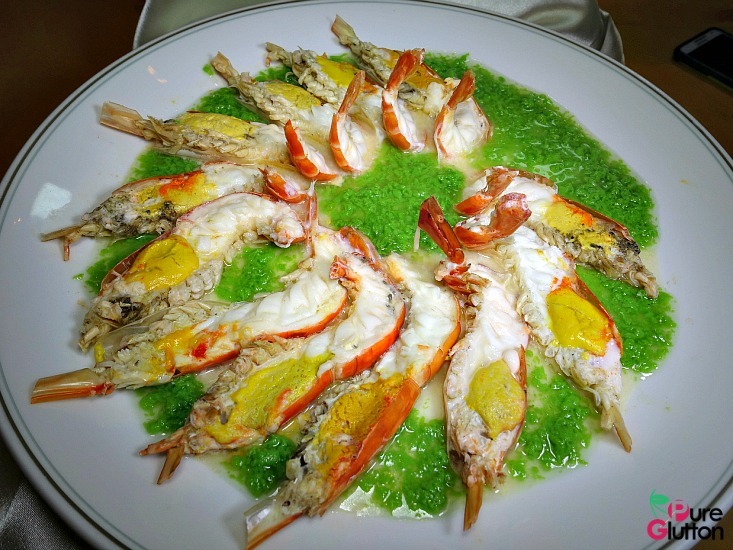 Such a clever touch – using spinach for that splash of bright green among the scarlet steamed prawns brimming over with rich creamy roe. Of course not to be missed is Chef Lam’s aforementioned Salt Baked Chicken. 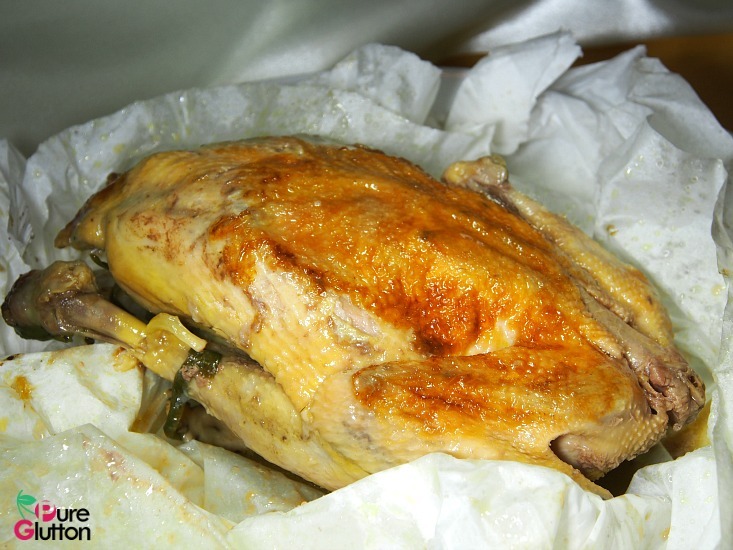 Wrapped in parchment paper, the sweet flavours of the free-range chicken were nicely sealed in with delicate salty flavours seeping in from the salt-baking process. I was happy to note that the salt factor was not overwhelming and you can actually eat the chicken on its own without downing lots of water. 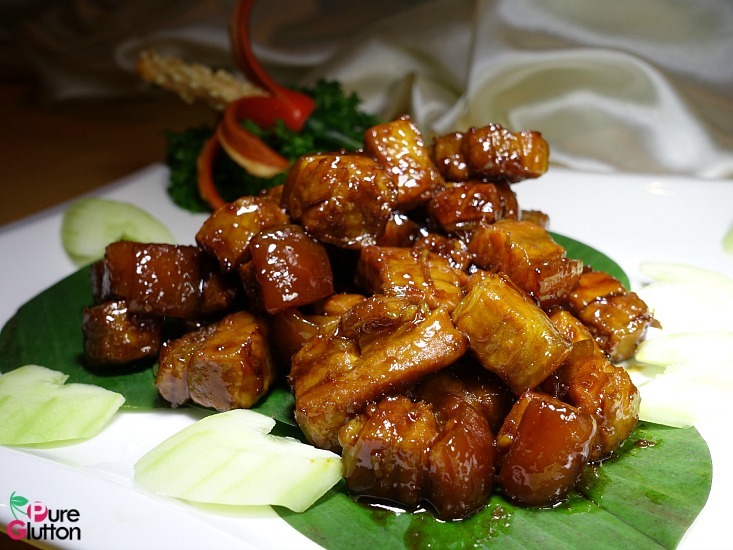 The Hakka influence was evident in the Stewed Pork Belly in Special Sauce. The flavours were heavier and robust – a dish that called for pain white rice. The sauce was insanely tasty when eaten with piping hot plain rice. 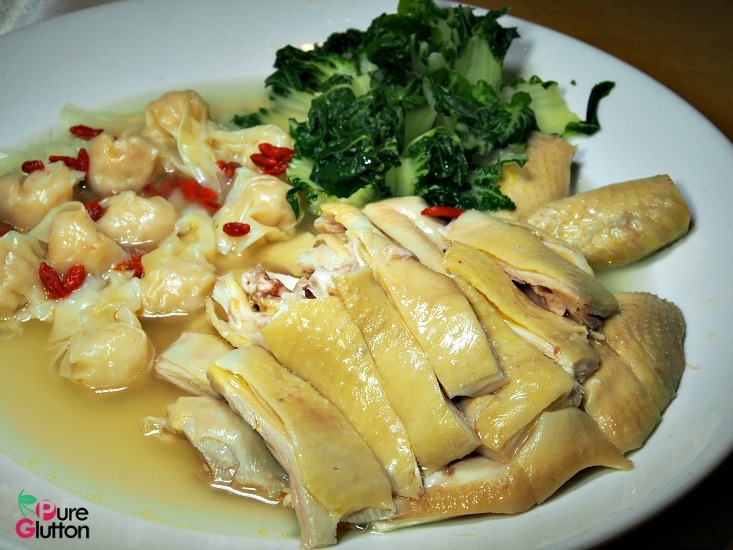 We had another chicken dish – Steamed Chicken & Minced Pork Wantan with Chinese Cabbage. After the vibrantly flavoursome stewed pork belly, this dish paled in comparison, with its light and clear flavours. I enjoyed the plump wanton bursting with sweet porky filling and the very tasty broth; the chicken was a bit lacking in taste. 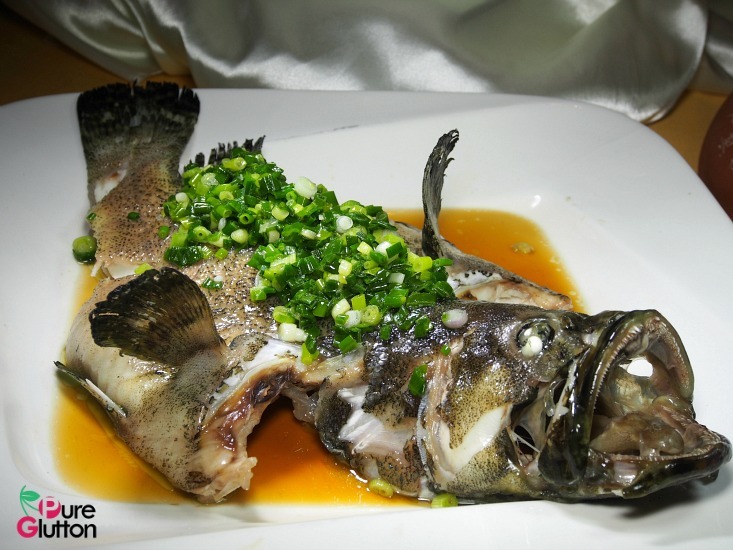 Steamed “Loong Fu” Garoupa with Superior Soya Sauce, Scallions & Spring Onions has always been a fail-safe dish in any Chinese restaurant. 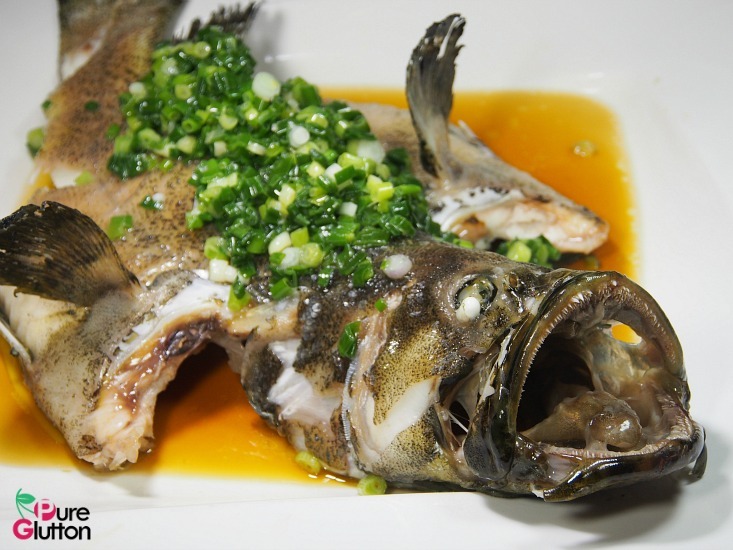 You can’t go wrong with steamed fresh fish done this way and Chef Lam has steamed it to just the right degree of done-ness. OMG – look at those sharp little teeth! 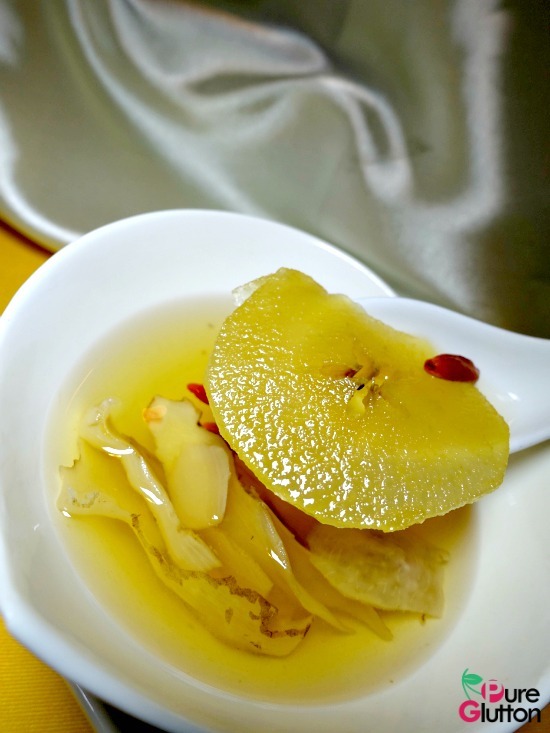 Dessert was a nourishing and refreshing Sweetened Lady Bell Root, Yu Zhu with Apple. 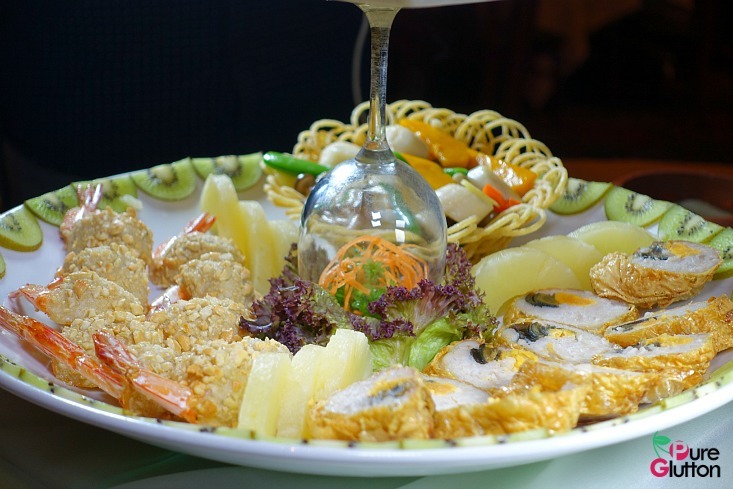 Xin Cuisine Chinese Restaurant can seat 360 guests and it has 4 private dining rooms for that touch of privacy and exclusivity. 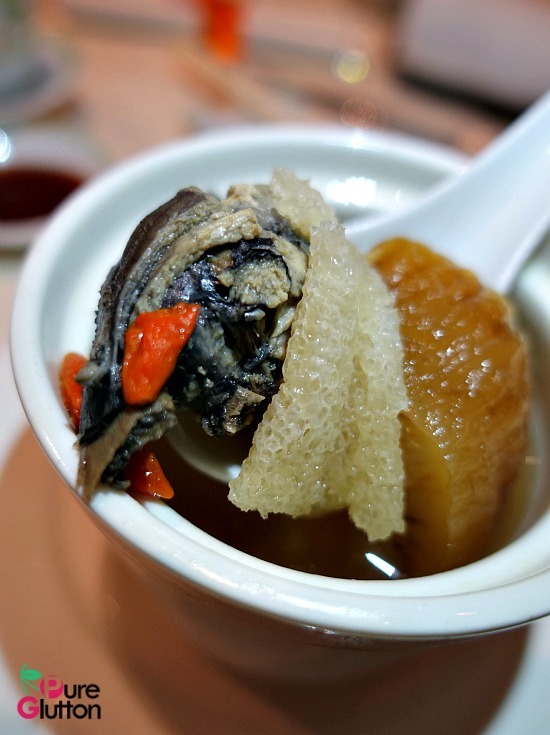 This non-halal restaurant serves Hong Kong Dimsum and a la carte home-style dishes. 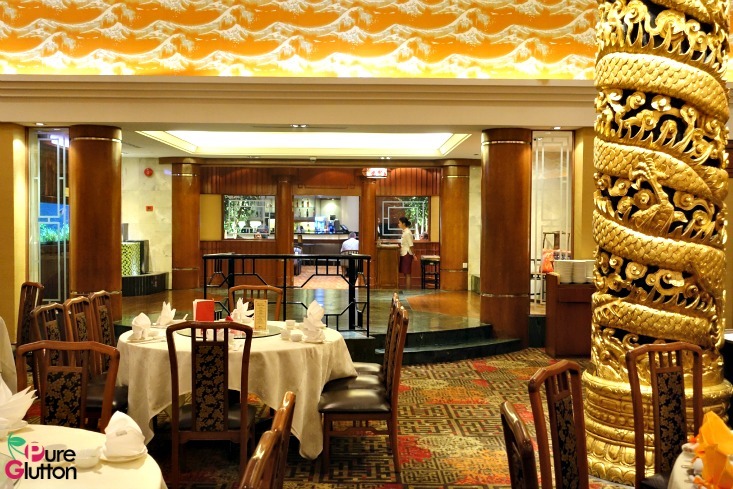 With its grand and opulent oriental-themed decor, needless to say, it’s a popular venue for wedding banquets.